Summary: Kaufman is clearly one of a kind, and that is certainly also true of this exceptional film. Caden Cotard (Philip Seymour Hoffman) is a New York theatre director who yearns to create a work of profound significance. He’s just finished directorial duties on an ambitious staging of Arthur Miller’s Death of a Salesman, but is unsatisfied with the results. His artist wife Adele (Catherine Keener) does little to ease his doubts, whereas his leading lady Claire (Michelle Williams) and devoted box office assistant Hazel (Samantha Morton) are only too eager to heap praise on him. Caden is plagued by paranoia and prone to intense self-analysis, and Adele’s perceived lack of interest in his problems drives him closer to these other women in his life. The opportunity Caden has been hoping for arrives, just as his relationship with Adele hits crisis point, in the shape of a MacArthur Genius Grant, giving him the financial freedom to embark on an enormous theatre project. Replicating his own life and the lives of his family and colleagues in an ever-expanding life-size set built in a gigantic hangar, Caden attempts to capture something essentially ‘real’ about humanity. It is an artistic quest that will consume the rest of his life. 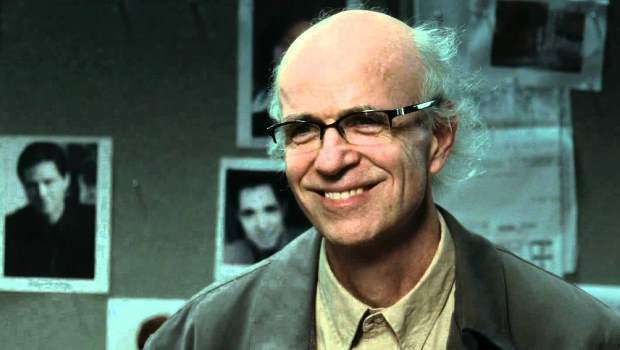 Charlie Kaufman’s new film – his first as director – originated in a suggestion from Sony Pictures that the Being John Malkovich writer try his hand at making a horror movie. The fact that Kaufman came up with this story in response to such a brief demonstrates both his admirable ability to tap into his own fears and also his unwillingness to conform to even the most basic generic conventions. Synecdoche is Kaufman’s most ambitious, unconventional and in many ways unfathomable story yet, but it is also hugely enjoyable, tackling massive themes (most notably the inescapable fact of death) in ways that are funny, sad and often insightful. The reality that Kaufman creates appears to be the world as seen (or imagined) from Caden’s perspective; the film’s visuals have a surreal edge from the outset, and the timeline of the film takes large unannounced leaps, most notably when Caden remarries and the story jumps forward several years in the space of one cut. The combined effect is disconcerting, but it also effectively places the audience in the same place of confusion and frustration that Caden so often finds himself in. The title is a play on Schenectady, the name of the district that Caden lives in; ‘synecdoche’ refers to a figure of speech in which a part is used to represent the whole, or vice versa (as in using the word ‘man’ to speak of all humanity), so the title could be pointing to the fact that Caden’s perspective stands for all of our perspectives. The truth is that you can never see the world through any eyes but your own, you can never know life without yourself at the centre of it. This idea that “no-one is an extra” is in some way central to what Kaufman is trying to get at. Kaufman throws a lot of ideas, not that many of them visual, into his film, and I think the best way to take it all in on a first viewing is not to try and analyse everything but to see the whole thing, in all its vastness, as one big canvas – much like Caden’s theatre piece. This is certainly a film that demands repeat viewings to be properly understood, so prepare to be a bit confused first time. More than Kaufman’s other work, Synecdoche, New York is reminiscent of Woody Allen’s best films – the Manhattan setting, the surreal way of tackling very real and universal issues, leavened with a keen sense of humour and directed to appeal to the brain first and the eye second. Also like Allen, Kaufman gets great performances from his very impressive cast, particularly Hoffman and Samantha Morton. Finally like Allen, Kaufman is clearly one of a kind, and that is certainly also true of this exceptional film.